Christmas is fast approaching so this week I thought I would share a couple of Advent Calendars I have created over the last couple of years. It’s such an exciting time for kids – counting down to the big today and these are sure to keep the excitement levels sky-high. 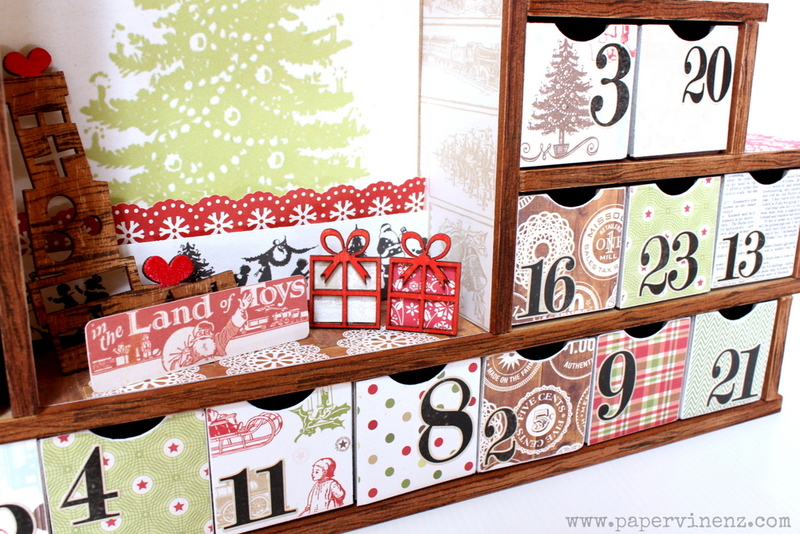 This Advent Calendar I made last year looks so festive with the traditional Christmas colors. 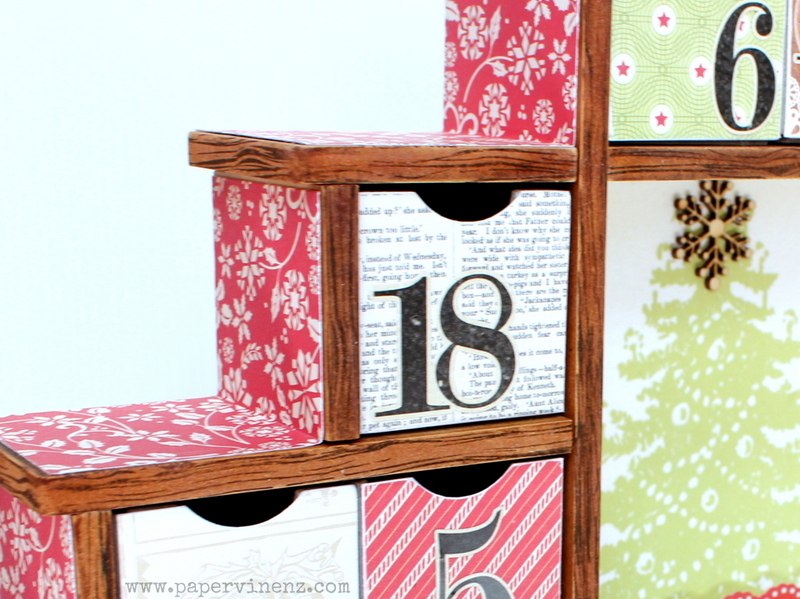 The calendar base is from Kaisercraft and is easy to put together. If you follow this short video here on YouTube you can construct the frame in about 10 minutes. For a full list of materials used – see here. To cover the boxes in paper I glue each box individually then cover the 2 sides and back of the box with one strip of paper, cutting a separate piece for the front face. 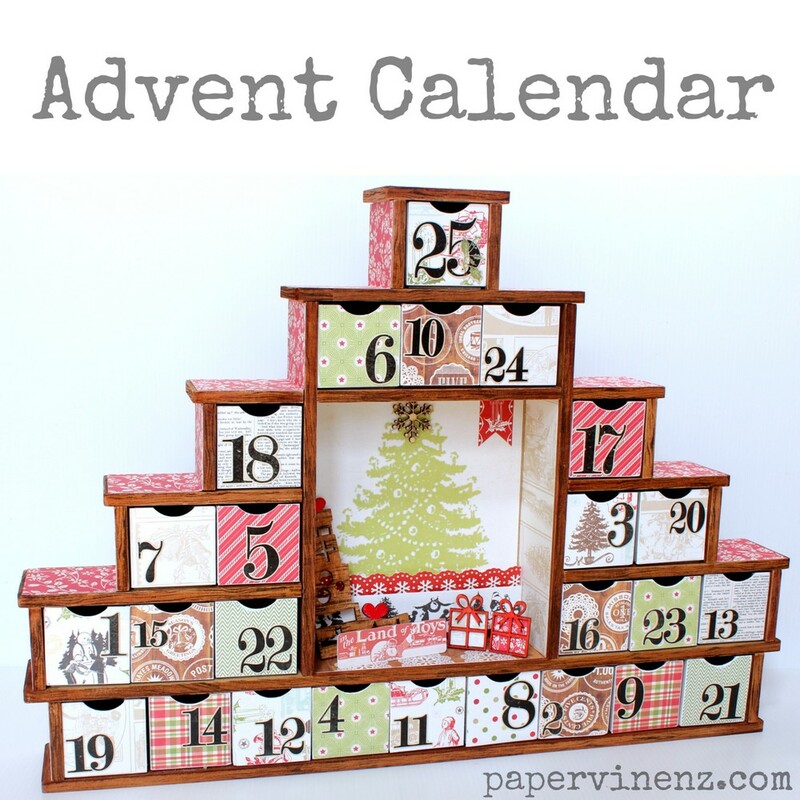 Other people have quicker ways of doing this but I do not think they give as nice a finish. You just need to try and see which works best for you. 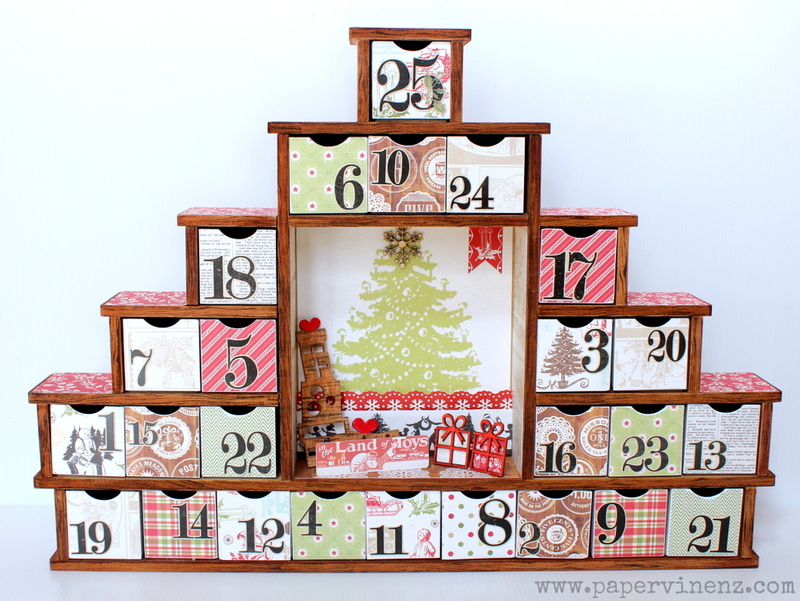 This particular calendar has a shadow-box central area which is a great place to create a Christmas Scene. To create the woodgrain effect, I inked the edges with Distress Ink and used a woodgrain stamp over the top with brown ink. You can see this technique in more detail on this post here. 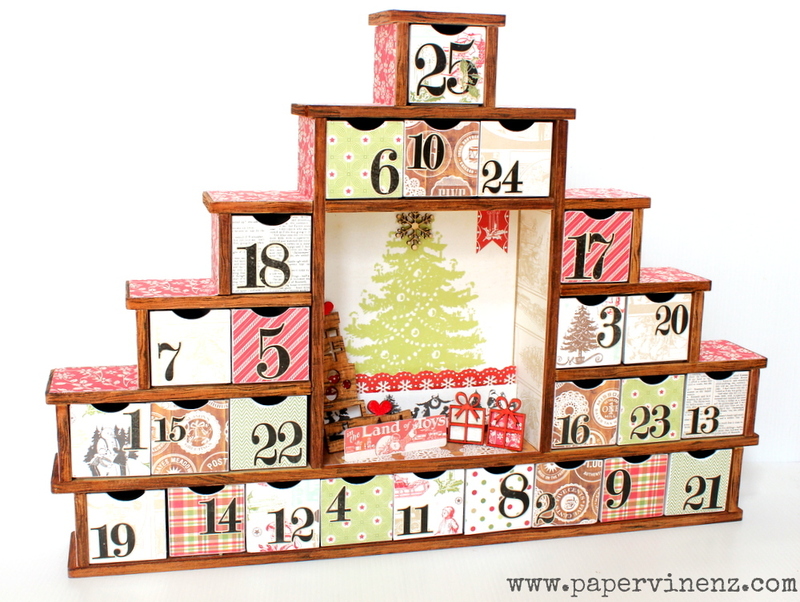 You can also see this Advent Calendar from 2010 here. Bugs, Blog-Hop, Sneak Peek & Giveaway!